If you’ve ever served as the designated Dracula at your family’s traditional Halloween bash or your annual office party, you’ve probably considered getting a great-looking pair of reusable fangs custom-made to fit your mouth. But expensive cosmetic dentistry isn’t your only option! 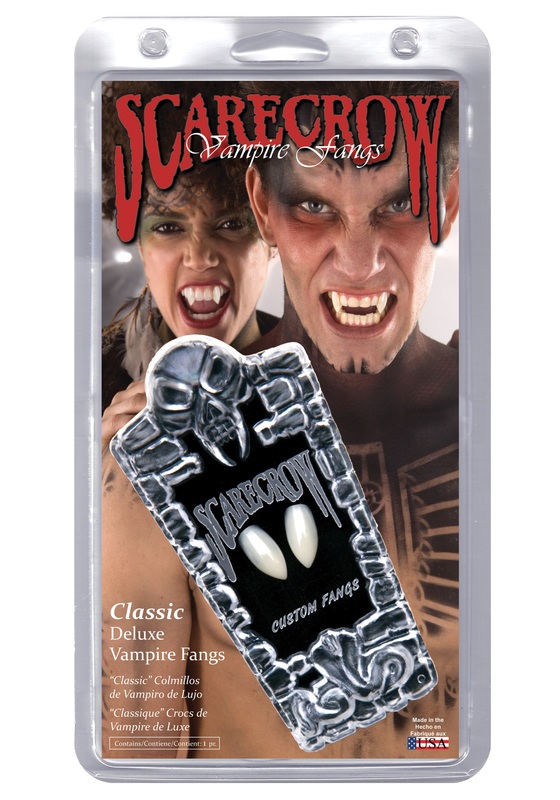 Before you agree to go under the drill, why not try a pair of these amazingly realistic and convenient Vampire Fangs? Sure, they take a little elbow grease, but the package includes everything you need to mix a compound that will let you mold the caps to fit the shape of your own canines or incisors. And since they’re reusable, the few minutes it takes to achieve a personalized fit now will provide peace of mind every time somebody asks you to make an appearance in your signature undead count costume. Thinking about going the werewolf route this year (or next)? These toothy props don’t discriminate!